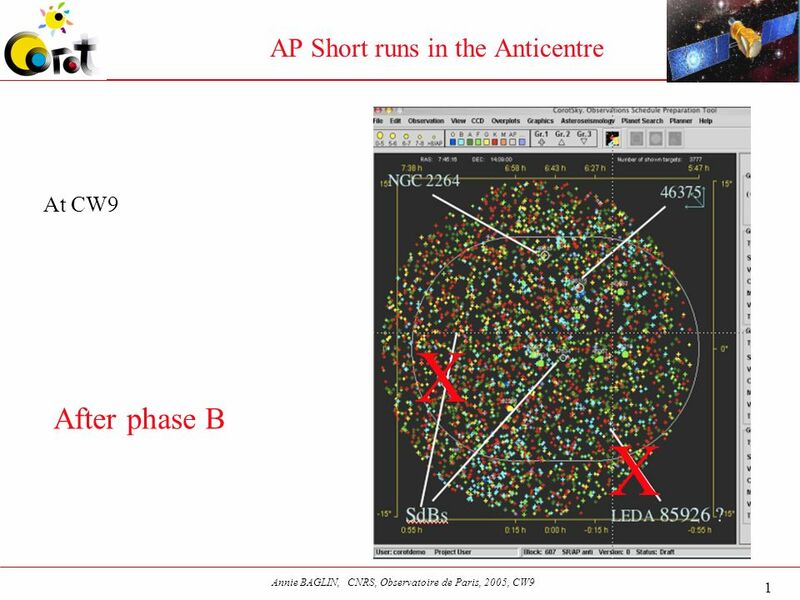 1 Annie BAGLIN, CNRS, Observatoire de Paris, 2005, CW9 AP Short runs in the Anticentre At CW9 After phase B X X. 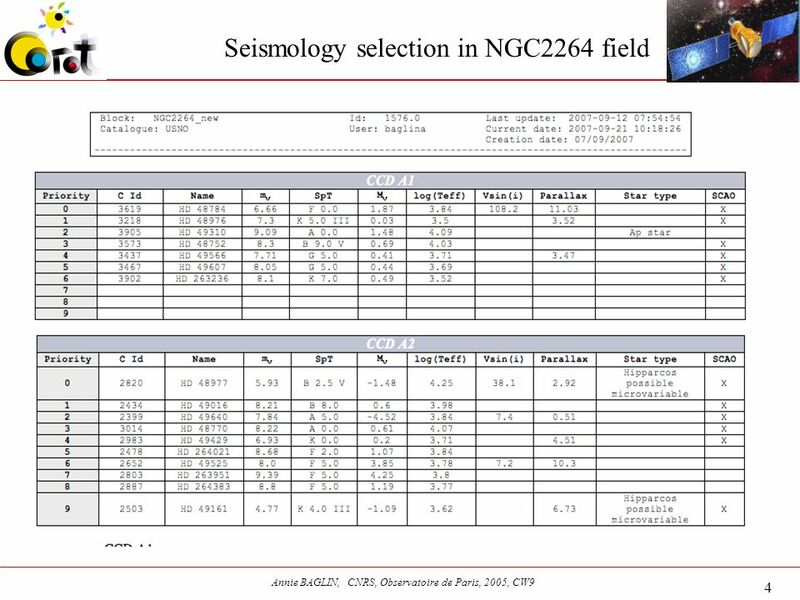 2 2 Annie BAGLIN, CNRS, Observatoire de Paris, 2005, CW9 HD 46375 Quite poor and unknown…. 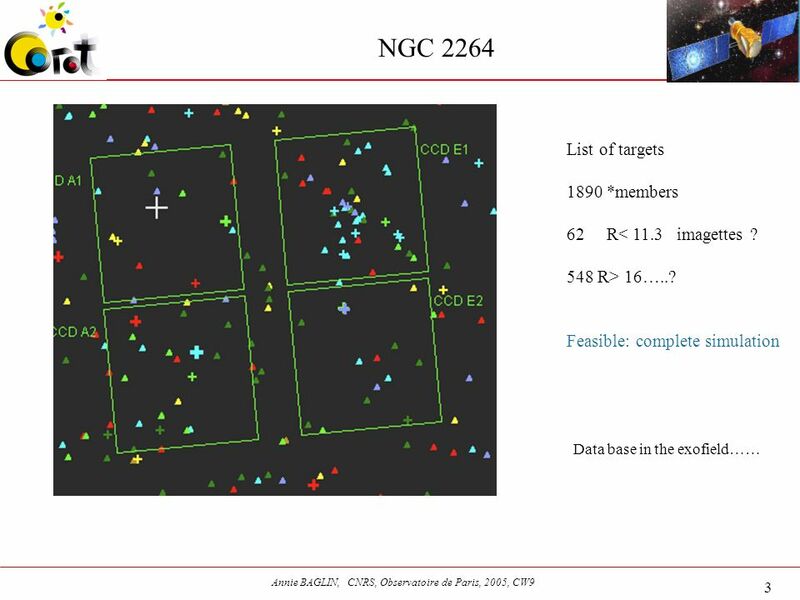 HD 46558 Prim Targ. Cand. 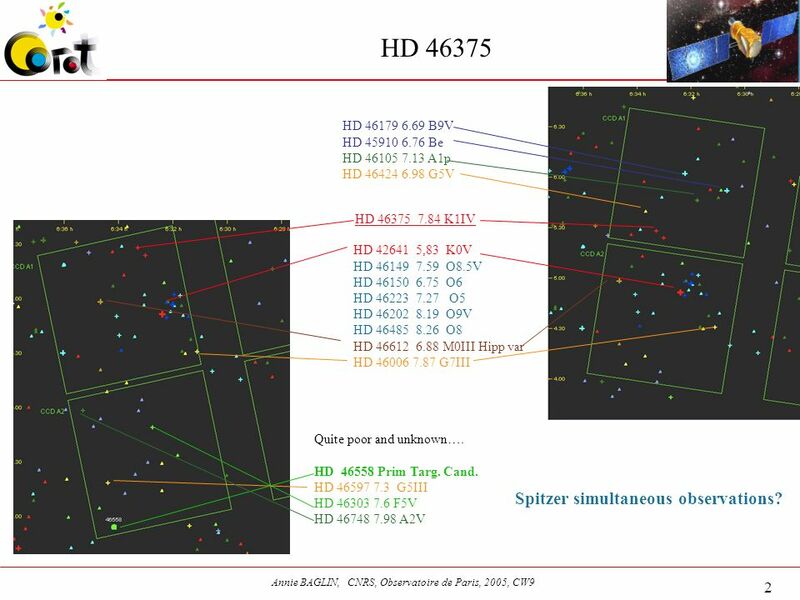 HD 46597 7.3 G5III HD 46303 7.6 F5V HD 46748 7.98 A2V HD 42641 5,83 K0V HD 46149 7.59 O8.5V HD 46150 6.75 O6 HD 46223 7.27 O5 HD 46202 8.19 O9V HD 46485 8.26 O8 HD 46612 6.88 M0III Hipp var HD 46006 7.87 G7III HD 46375 7.84 K1IV HD 46179 6.69 B9V HD 45910 6.76 Be HD 46105 7.13 A1p HD 46424 6.98 G5V Spitzer simultaneous observations? 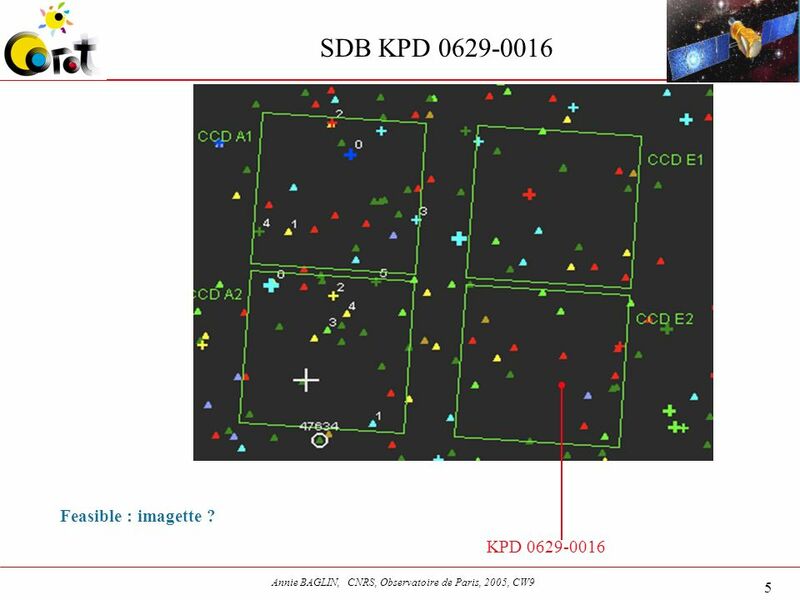 5 5 Annie BAGLIN, CNRS, Observatoire de Paris, 2005, CW9 SDB KPD 0629-0016 KPD 0629-0016 Feasible : imagette ? 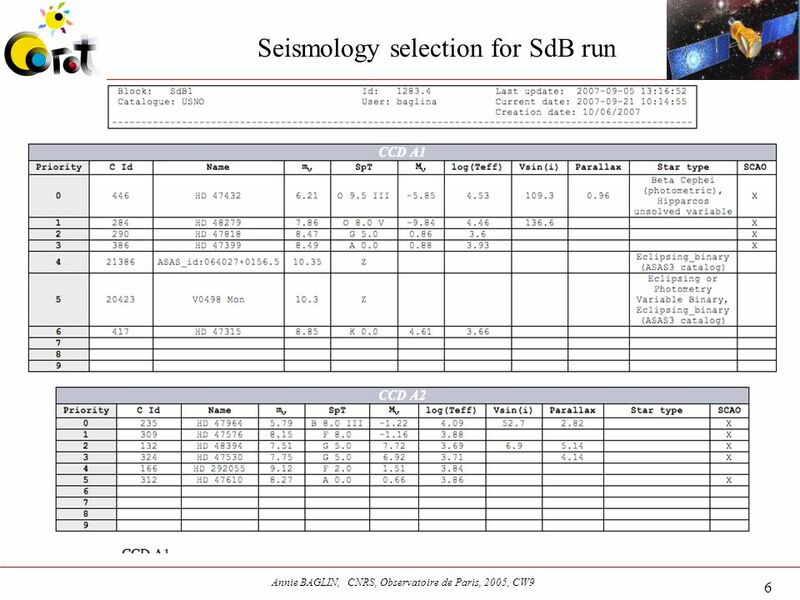 Download ppt "1 Annie BAGLIN, CNRS, Observatoire de Paris, 2005, CW9 AP Short runs in the Anticentre At CW9 After phase B X X." 26-27 Jan 2005 Page 1 FOCUS Kinetics training workshop Chapter 7 Recommended Procedures to Derive Endpoints for Parent Compounds Practical Exercise Ralph.